With our up-front pricing, you’ll know exactly what it will cost…without any surprises. There are three essential elements to being the best carpet cleaners in Louisville, KY. The first is proper carpet cleaning equipment. At LCC&FR we use truck mounted vans and have portable cleaners if necessary. Our truck-mounted vans are self contained units. We arrive at our jobs requiring no water or electricity. All of our vans are fully loaded with the most current, top of the line cleaning agents, therefore we can remove most all stains. All of our vans are completely stocked to complete any necessary repairs to the flooring. From carpet patches, and carpet stretches to transitional bar installations our carpet cleaners can do it all. The second essential element is a knowledgeable and caring professional carpet cleaner. We always give our residential customers a courtesy call about 20 minutes prior to arrival. Upon arrival our dedicated team will begin by walking through the areas to be cleaned with you. Together we will conduct a thorough inspection of the entire carpet.  We will address any areas of special concern you may have. Before we get started we will adjust the heat/ air to expedite the drying process. When we get started, we’ll move most furniture…tables, chairs, and replace them with protectors under the feet. Finally the third element required to properly clean carpets is high quality cleaners. Cheap chemicals just do not work well. 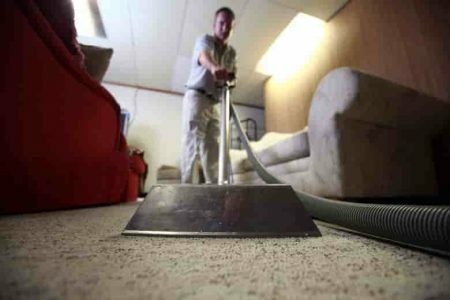 Our 10-step carpet cleaning method is one major difference between Louisville Carpet Cleaning & Flood Restoration and the ‘well known high priced franchisees’ or the ‘local cheap and quick guys’. We use only high quality cleaners and chemicals. Our pre-spray is specially mixed after the walk through, before we start each job. Different carpet fibers and different types of stains require different cleaning agents. This step ensures we properly attack and remove your most stubborn stains. For heavily soiled carpets we can scrub the carpet with a unique carpet scrubbing brush using a low speed buffer to help preserve the original texture. Leaving your carpets clean and quick to dry is our top priority. Our double-extraction rinsing method, achieved with a 240 degree steam rinse and a dry vacuum pass, followed up by additional dry vacuum passes ensures the cleanest, most dry cleaning experience possible. Proper technique and quality cleaning agents together make the crucial difference when restoring carpet to its original beauty. We are not a major franchise focused on profits, LCC&FR is a local business striving to satisfy all of our customers carpeting needs. Most importantly our cleaners are 100% safe for children and pets. Are your carpets in need of carpet cleaners Louisville KY? Is your carpet stained, worn, or in need of repair? Call 585-2444 or send us an email and we’ll respond as quickly as possible. Emergency? Call our emergency line right now at (502) 379-5890. LCC&FR uses state of the art truck-mounted carpet cleaning units during our 10-step cleaning process. Carpet cleaning Louisville KY is what we do best. Our vans heat the water to 240 degrees, which cleans and kills germs. With our fully stocked vans, we remove stains that most companies simply can’t. LCC&FR pre-treats the entire carpet with natural, biodegradable cleaners that breaks down and dissolves all the greasy, dirty grime. We follow up with a clean steam rinse. The final step is to completely dry the carpet. Your carpets and upholstery are left completely residue free.